Meadowland is a respectable enough debut from Reed Marano to the point that although it misfires on an emotional level, not to mention the screenplay could’ve used a re-write, it does excel with a stellar performance by Olivia Wilde. 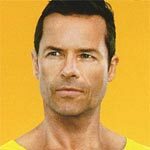 Results is a quirky if not uneven romantic comedy with a couple fine performances, particularly Kevin Corrigan and Guy Pearce. The writing isn’t the best and by the end I can’t say it’s very memorable either way. 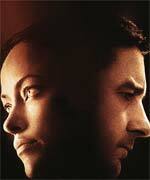 The Blu-ray released by Magnolia is basic with slim bonus material and good video/audio transfers. 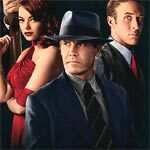 Ruben Fleischer’s Gangster Squad no doubt blew the opportunity to be a special crime-drama and instead it stumbles trying to emulate other gangster movies in the past. Still, I couldn’t help but enjoy the movie especially the performances from Brolin, Gosling, Robert Patrick and Sean Penn that it makes for a worthwhile viewing even with its flaws. The Blu-ray/DVD combo pack offers excellent audio/video transfers and for a Warner release, there’s a good amount of features. It’s a shame Columbus Circle wasn’t better as it has a good cast and, at its core, at least an interesting premise. 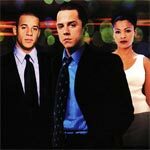 Although the script does them no favors, I give a pass to the cast as they seem to struggle through stilted dialogue and contrived situations, especially a finale that flies in the face of what we watched before. Even so, I found this to be passable entertainment and enough for a quick watch on a weekend where there’s nothing else on. 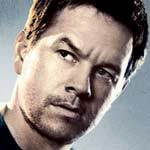 Universal Studios has announced the date and released artwork for the crime drama, Contraband starring Mark Wahlberg, Kate Beckinsale and Giovanni Ribisi. Check out the artwork and details for the April 24th release by clicking the image to the left or link below. 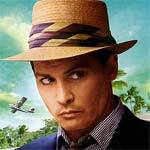 The Rum Diary is the kind of film that doesn’t linger after it’s over. It’s not bad enough to mock or good enough to recommend, it kind of is just… there. Depp delivers another good performance but even he can’t save an undercooked screenplay. With regards to the Blu-ray, it offers up nice video and audio transfers and even though the features are limited, the 45-minute documentary on Hunter S. Thompson is a treat. Universal Studios Home Entertainment has announced the date and released artwork for the mystery thriller, Columbus Circle starring Selma Blair, Amy Smart, Kevin Pollak, Giovanni Ribisi, Beau Bridges and Jason Lee. Click on the link below or image to the left to check out the features and artwork.